Knowing when to shoot—and when not to shoot—is critical when hunting big game. There are few moments that are more exciting than when a big buck or bull steps out into the clear and offers a shot. Usually that moment comes after long months of preparation and planning, and that leads many hunters to take ill-advised shots. As hunters, our first priority is safety—we need to know when it is safe to shoot and when to hold up, even if there’s a big buck right in front of you. In addition, we need to make a clean shot in the vitals that will minimize suffering and dispatch the animal in a hurry. Here are four keys to making sure that your shot is safe and that it counts. 1. Clearly identify your target: This is critically important. Some shooters get so excited at the sight of game—or what they think is game—that they pull the trigger. If you’re mistaken, that’s a shot you can never take back. Every year there are hunters who make bad shots because they saw something moving or misidentified game, only to find out that what they thought was a deer or turkey really wasn’t. There’s even a case in the West of a hunter shooting at a bull elk that was a taxidermy mount in someone’s home! That’s an enormous blunder, but the hunter was so excited that he made a huge mistake and put lives at risk. Always be absolutely certain of your target, and if there’s any question at all, don’t shoot. 2. Know what’s beyond the target: This is a simple piece of advice that you’ll hear time and again, but it’s a critical element to a safe hunt. Many shooters get so excited when an animal appears that they forget about everything else, including what lies just beyond that animal. For this reason, never shoot “skylined” animals on ridge tops because you can’t safely say what’s on the other side. In addition, be cautious that there isn’t another animal behind the one you’re watching, and never shoot animals with homes, structures, water, or any other obstructions behind them. 3. Choose the angle:To reach the vitals, your bullet needs a clear path that won’t be obstructed by bone, and this usually means a broadside shot is best. If the animal is angling toward you or away from you, the shot angle changes, and in many cases you won’t get a clear path to the intended target—the heart and lungs. Animals that have spotted you or are angling away in retreat are rarely presenting you with that clean broadside shot. It’s far better to wait and risk getting no shot at all than to place a bullet or an arrow in the wrong place, which will lead to a miss or, worse yet, an injured and unrecoverable animal. 4. Know your limits: There’s a lot of talk about long-range shooting, but there are very few instances where a really long shot is ethical and very few hunters who have the capability and equipment to make those shots. Don’t let buck fever entice you into taking a long or risky shot, and avoid shooting at moving animals. 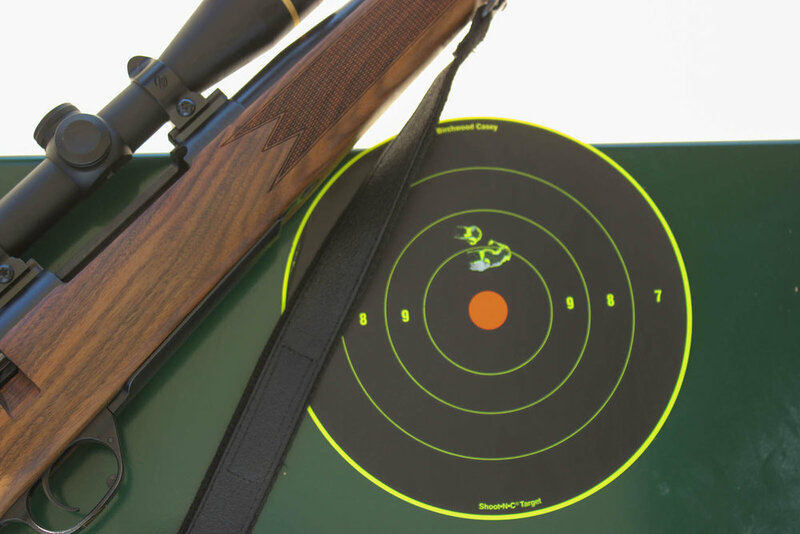 Knowing your personal limitations and those of your equipment is vital to ethical hunting, and don’t take shots at ranges that are farther than you have practiced. Wind drift, angle, and other factors affect the flight of your arrow or bullet, so know how far you can shoot consistently, practice at that distance, and don’t pull the trigger or release an arrow if the animal is not within that range.